The White Blackout Vertical Blind is part of our Mansion range of blinds which feature a classic design that’s stylish yet practical. A simple and elegant style, our blinds will brighten up even the smallest space and provide intimacy and complete darkness so that you can enjoy a restful night’s sleep throughout the year. Our White Blackout Vertical Blind is perfect for long windows, patio doors or conservatories in addition to the rest of the house. Control light in a variety of ways to suit the mood, need and occasion or roll them way completely to allow maximum light into the room and enjoy the health benefits of natural light. 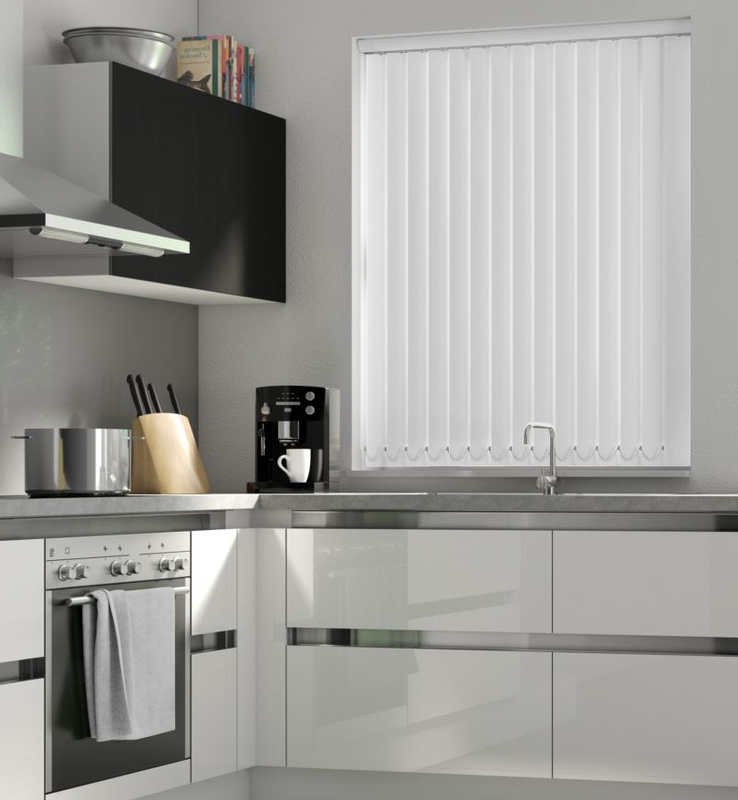 Made with a moisture-resistant and wipe clean material, our Vertical Blinds are perfect for any family home with children, adults and pets that carry in dirt and touch or brush past blinds. Cleaning and maintenance is made easy in a busy home!